With a construction permit finally acquired, the Mobile County Commission could soon purchase the $3.1 million property slated to house a $40 million soccer and aquatic complex, despite a lack of clarity over who actually owns the land. For the past two weeks, Lagniappe has reported the group of 12 “sellers” in one of the purchasing agreements the county approved in 2014 includes several individuals and limited liability companies with ties to White-Spunner Realty Inc. — the same company brokering the county’s land transaction. 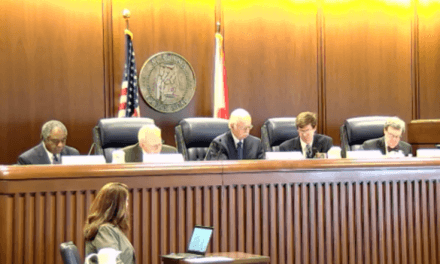 Despite being named in the agreement as “sellers,” John White-Spunner, Ann White-Spunner and White-Spunner-owned B. Co. LLC, Jay-E LLC and B. LLC are not listed in Mobile County Probate records as owning any of the properties involved in the sale. 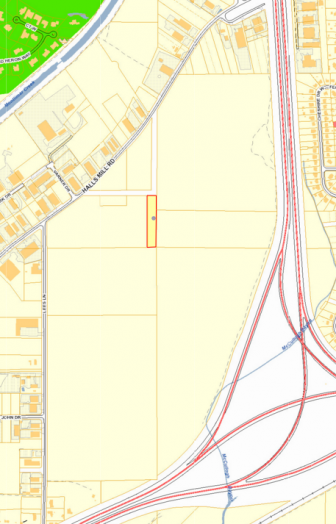 One of seven parcels included in Mobile County’s $3.1 million land deal. Public records list the parcels’ owners as Ansley Properties LLC and Mary Lou Berg. While the vast majority of sellers did give power of attorney in this matter to Blacksher White-Spunner to form the “Ansley Group,” that entity is legally distinct from Ansley Properties LLC. For the past two weeks, Lagniappe has attempted to clarify exactly which sellers stand to benefit from which parts of the 200-acre sale, but so far phone calls to the county’s attorney Jay Ross have gone unreturned. Asked for clarification, Mobile County Public Affairs Director Nancy Johnson said it wasn’t something the the county was very concerned with. Despite the county’s lack of interest in the sellers’ group, it does appear some of the sellers took more interest in recent County Commission races. White-Spunner Realty CEO John White-Spunner reported giving both Commission President Jerry Carl and District 2 Commissioner Connie Hudson $2,000 apiece in this election cycle. White-Spunner. In September of 2015, Blacksher White-Spunner made a $5,000 donated to Carl’s campaign. A month later, White-Spunner Realty employee J. Benson O’Connor III, formed the COMPAC political action committee. Shortly afterward Blacksher White-Spunner donated $10,000 to the PAC, which gave $5,000 to Hudson’s campaign. COMPAC’s only other donation was $250 to Carl. Ross has previously said the county was working with White-Spunner Realty in preparation of exercising the purchasing options at the commission’s May 23 meeting. As for the $40 million needed to construct the facility, Ross said there have been continued efforts to recruit private industry partners, but he could not confirm any progress. Despite the attempts to gauge interest in a lodging tax increase and recruit private industry to help fund the project, many have publicly expressed concern about the county borrowing money to fund the project after agreeing to a $30.1 million bond for other capital projects just last year. Those concerns were elevated when the county’s bond counsel gave commissioners an overview of their authority to issue bonds and warrants on April 27 — just a week before the construction permit was acquired from the U.S. Army Corps of Engineers. Lagniappe obtained a recording of Bolt’s presentation last week. “If you have the power to acquire it, you have the power to finance it,” he added. Despite the timing, Bolt never mentioned the soccer project or any recreational facility specifically. A large portion of his presentation covered the heightened interest in municipal debt the Securities and Exchange Commission has developed over the past decade. “I just thought it would be a good idea for Preston to come over and explain the differences between bonds and warrants so when we do the next capital improvement plan the commission would a little more clearly understand the differences and what each can be used for,” Herman added. This week, Johnson again said the presentation “had nothing to do with” the soccer complex, and confirmed that no specific source has been identified to fund the construction of the facility or its long-term upkeep and management. As for the land purchase, the city of Mobile is still in agreement to contribute $1.5 million allocated from its 2015 parks and recreation budget. The rest will come from District 2 money set aside by Commissioner Connie Hudson from a previous bond issue in 2012. Correction: The original version of this story and its print counterpart failed to include a $5,000 donation to Commissioner Jerry Carl’s campaign from Blacksher White-Spunner made in September of 2015.